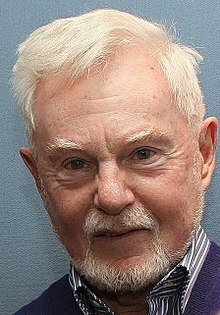 Sir Derek George Jacobi CBE (born 22 October 1938) is a British actor. He was born in Leytonstone, London. He has worked on television, in movies and on the stage. Jacobi graduated from St John's College, Cambridge with a Master of Arts. Jacobi is openly gay and lives in Primrose Hill, London with his civil partner. This page was last changed on 1 April 2018, at 21:17.